Parents know that their children need their prayers. But sometimes, they aren't sure where to start. For moms and dads who long to lift their kids up in prayer, Powerful Prayers for Your Daughter and Powerful Prayers for Your Son offer hope, encouragement, and practical help. 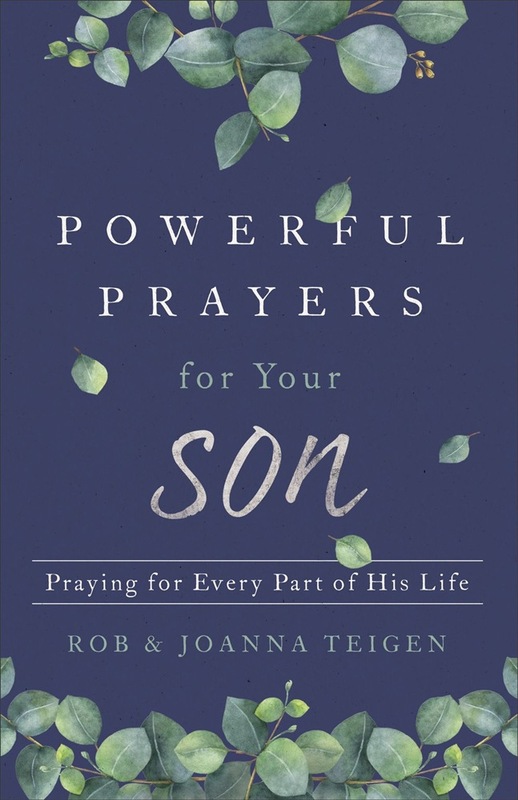 Rob and Joanna Teigen assure parents that just because they don't always understand their son or daughter, that doesn't mean that God doesn't. Collecting specific prayers parents can use, along with stories from other parents about how God has answered their prayers, Rob and Joanna give readers a strong foundation to build a lifelong habit of praying for their kids. They also explain what boys and girls need to learn as they grow up, including character, courage, modesty, self-control, forgiveness, and more, so parents can pray for every part of their kids' lives. Acquista Powerful Prayers for Your Son in Epub: dopo aver letto l’ebook Powerful Prayers for Your Son di Joanna Teigen, Rob Teigen ti invitiamo a lasciarci una Recensione qui sotto: sarà utile agli utenti che non abbiano ancora letto questo libro e che vogliano avere delle opinioni altrui. L’opinione su di un libro è molto soggettiva e per questo leggere eventuali recensioni negative non ci dovrà frenare dall’acquisto, anzi dovrà spingerci ad acquistare il libro in fretta per poter dire la nostra ed eventualmente smentire quanto commentato da altri, contribuendo ad arricchire più possibile i commenti e dare sempre più spunti di confronto al pubblico online.